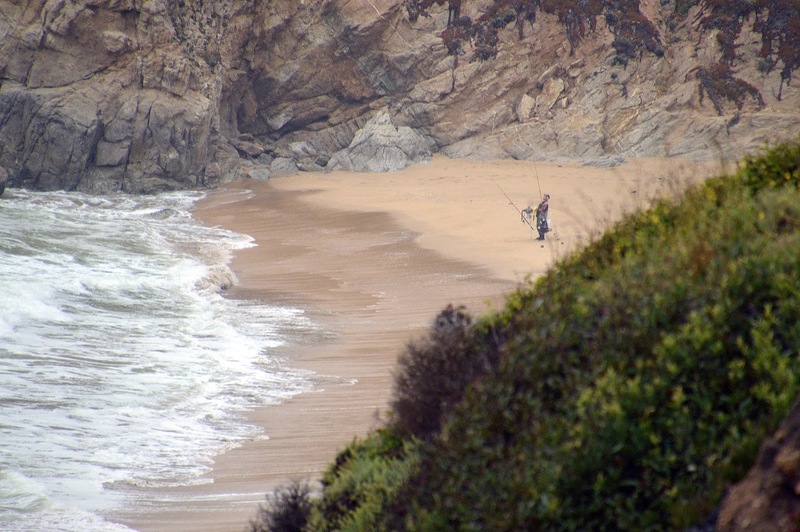 The fisherguy chillin' in isolation is pretty obvious. 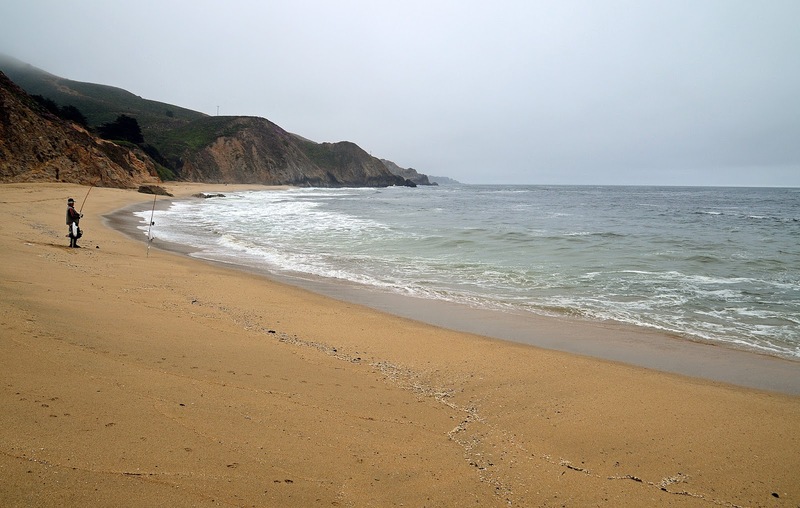 The cove of grey whales, not so much. No whales there this particular day? And, up on the hill top, is that a residence, or some official structure? 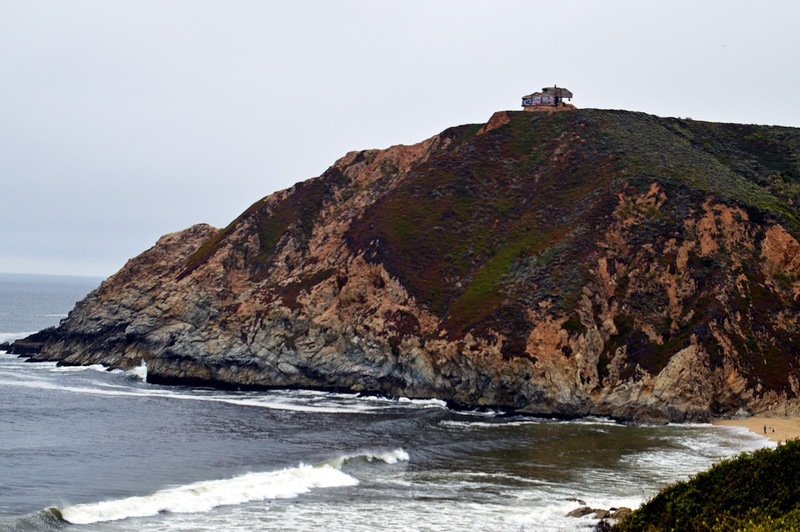 The bunker up on the cliff is all that's left of the Devil's Slide triangulation/observation post that was built during WWII. It's just a graffiti magnet now and it won't be too many years before it slides down into the Pacific. 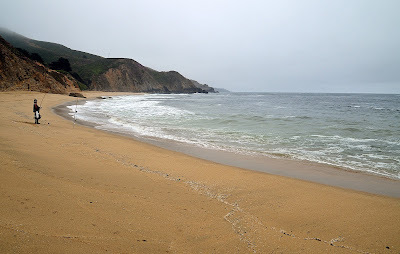 Gray Whale Cove State Beach is a supposedly good spot for whale watching but I didn't see any that day. The migration season runs from April to June so the big guys have already been through for this year. There are a lot of Humpbacks in the SF Bay though and it's one of the best years ever for spotting Killers in Monterey.